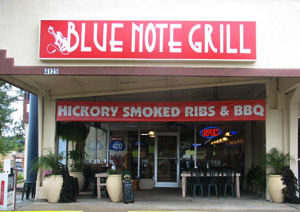 Durham’s Blue Note Grill wraps up a memorable 5-year run at its current location with an exclamation point this weekend. The music club & restaurant at 4125 Durham-Chapel Hill Boulevard is relocating to a larger venue at 709 Washington Street in Durham, an area that’s experienced a remarkable renaissance, becoming a hub for local nightlife. 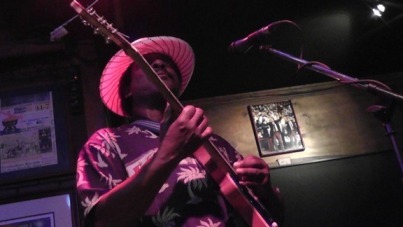 Going out with a bang, the club presents Friday regulars the Duke Street Dogs followed by Herded Cats, a Saturday night All-Star jam and Sunday’s 5th Annual WillFest featuring guitarist Will McFarlane and a rotating cast on stage. The new Washington Street location will offer a quick-service eating area, a dining area and dance floor with stage, and an outdoor patio with views of the old ballpark. Tentative opening is June 9. But this weekend local music fans will congregate in the cozy confines “on the Boulevard” to celebrate and thank owners Bill & Andrea Whittington for 5 great years. This entry was posted in Uncategorized and tagged Blue Note Grill relocation by Steve Haughton. Bookmark the permalink.